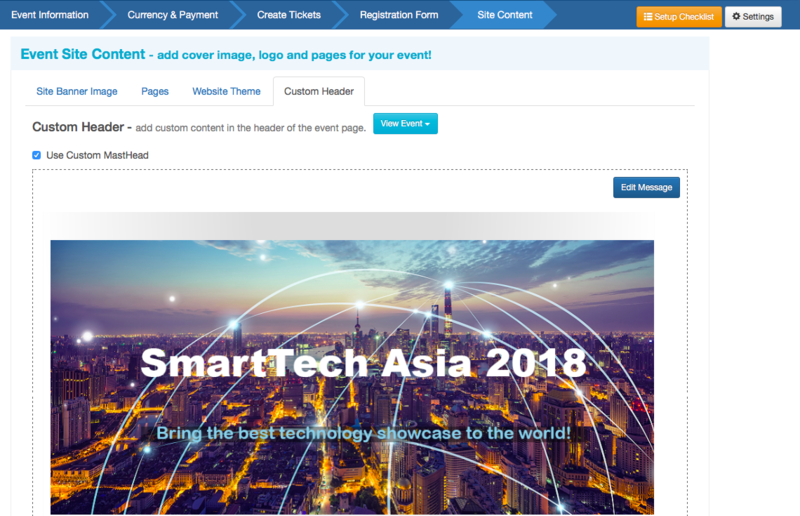 Eventnook allows you to set a custom header if you want further personalization for your event page. 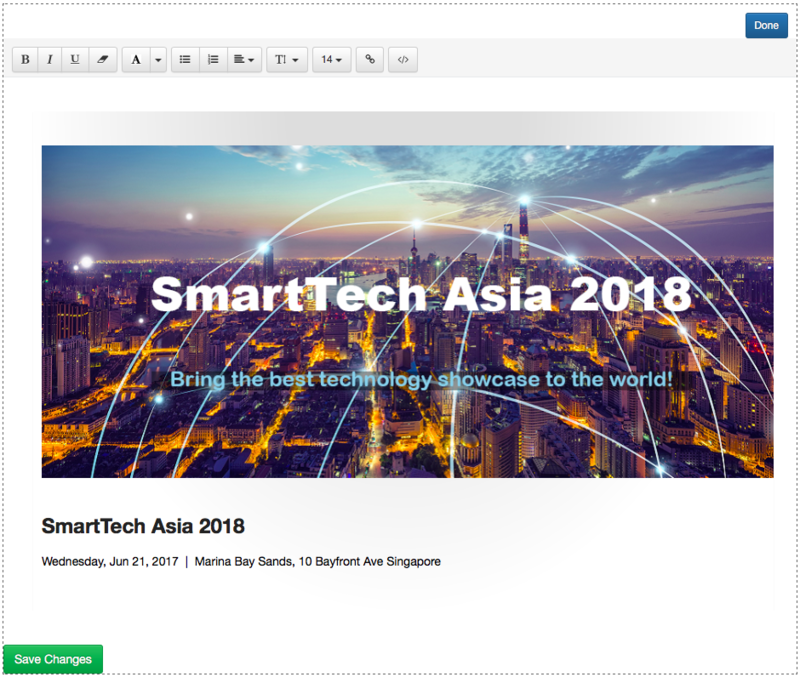 You can change the appearance of your header, such as changing the font style, font size, color, and alignment of the text below your header image. And instead of displaying just your event title, time and location, you can change the text and even add a bullet list or insert a link! Click on “Edit Event” in your events dashboard. Click on the tab “Site Content” located on the top. Select the “Custom Header” tab from the Event Site Content options. Check the box next to "Use Custom MastHead" to enable the feature. Select "Edit Message" to change your banner picture and/or change the message that will appear for your header. Click on the "Done" button once you are satisfied with your header. Don't forget to save changes when you're done.